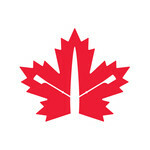 Rowing Canada Aviron (RCA) is a non-profit organization recognized by the Government of Canada and the Canadian Olympic Committee as the national governing body for the sport of rowing in Canada. RCA represents 15,000 registered members at all levels, novices, juniors, university students, seniors and masters, and people with disabilities, whether they row for recreation, health and fitness or competition. RCA is a member of the Canadian Olympic Committee, the Canadian Paralympic Committee and the Fédération internationale des sociétés d'aviron (FISA), the international federation for rowing. RCA was originally founded as "The Canadian Association of Amateur Oarsmen" in 1880 by the rowing clubs then in existence - to coordinate and regulate the sport of amateur rowing. In 1974 the name was changed to "The Canadian Amateur Rowing Association - Association Canadienne d'Aviron Amateur", which is still the legally constituted name, although Rowing Canada Aviron is now used as the operating name. Row to Tokyo | Help Us Fuel Our Athletes! Your support means a lot to us. Please consider fuelling our athletes! Welcome to the 2018 #RCANextGen fundraising portal! The purpose of the 2018 campaign is to support five NextGen teams this summer: Under 23, Junior, Under 21, CanAmMex and FISU. Support Our Junior and Under-23 Athletes! Please join us in supporting our developing rowers - all donations will directly support our Junior and U23 World Championship athletes! We are excited to announce that the first $48,000 in donations will be DOUBLED through a generous matching fund!